Menopause can bring with it numerous physical and emotional changes. Irregular periods, hot flashes and mood swings may feel like they are taking over your life, but some changes may be easier to overlook. Unfortunately, these subtle changes can have serious effects on your overall health if they are not addressed properly. The hormonal fluctuations women experience throughout life can leave their gums more susceptible to gum disease. Menopause is a particularly risky period since women may be experiencing not just hormonal fluctuations but also taking medications that can reduce saliva flow and otherwise increase their risk of suffering other dental health problems. 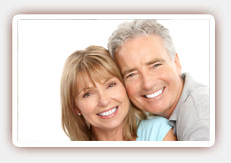 Gum disease is caused by plaque, a colorless biofilm that accumulates on teeth every day. This film must be removed through regular brushing and flossing because it harbors bacteria that can infect the gums. Over time, this infection can cause gums to separate from the teeth, and the pockets that form can become difficult and almost impossible to keep clean, allowing even more infection to develop. Teeth can become loose, and tooth and bone loss become almost inevitable if the condition is not promptly diagnosed and treated. Women who are nearing menopause or in menopause can benefit from a more frequent professional cleaning schedule, along with good daily dental hygiene that consists of brushing after meals with a soft-bristled toothbrush and fluoridated toothpaste and flossing at least once a day. 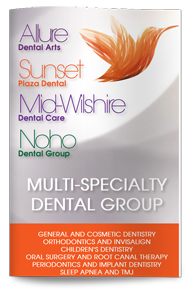 Contact us today to schedule a consultation with Dr. Ghasri, dentist in West Hollywood.